One of the most convenient forms of carrying things are backpacks. We offer capacious, practical, diverse and available in many styles shoulder bags. We invite you to familiarize yourself with our products, among which you will find men's and women's shoulder bags, laptop bags, weapons or even a tablet case. The products in our store come only from reliable manufacturers and are characterized by high functionality and convenience of use. Our store offers hand bags from well-known manufacturers: practical bags from the Condor brand, the well-known Polish Helikon-Tex, Direct Action and Pentagon. All products are characterized by high quality, high durability and interesting design. Functionality, a wide range of colors and convenience of use are the features that many customers pay attention to. We strive to meet expectations through a very extensive product offer. 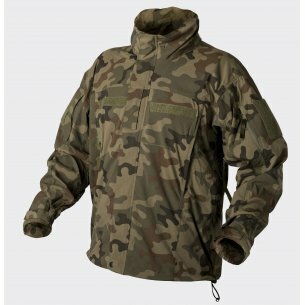 The store's offer includes travel bags, office bags, laptop bags, gym bags, drop pockets, grab-bags, hip bags, kidney type hacks, knife bags, bags for transporting short weapons and long weapons, bags / bags for carrying ammunition or bags designed especially for survival expeditions. Luggage is equipped with adjustable carrying straps, and selected models have a quick release buckle or an assist hip belt. 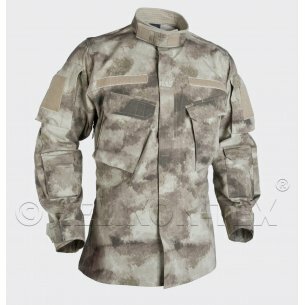 Let's sell assortment with a rich range of camouflage / military colors: Snowdrift, Greenzone, Badlands, A-Tasc Au Camo, Oliwa Green, Coyote / Tan, MultiCam, Adaptive Green, Camorgrom, Sandstorm, Kryptek Highlander, Mandrake, A-Tacs FG Camo, PL Woodland, Oliwa Drab, UCP or A-Tacs IX. In our store you will find durable laptop bags that will cope in the most difficult terrain. 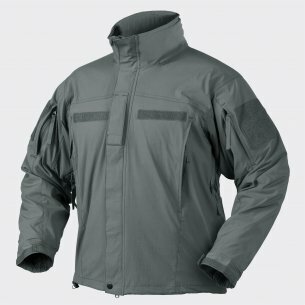 With a solid construction, good quality materials and very comfortable to carry equipment. They will keep the laptop and accessories, and will allow you to take away documents and other small items. 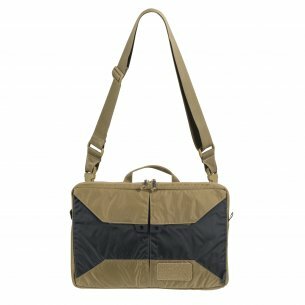 We especially recommend the Condor 3-way Laptop Case (available in black and tan green) and Helikon-Tex (black or black-brown). Each of them has one main chamber and two additional pockets. 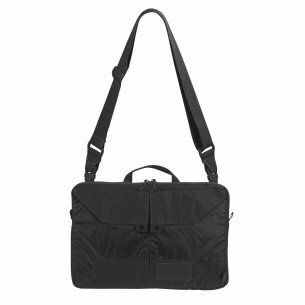 Laptop bags can accommodate a device up to 15 inches. Each of them in the set has an organizational panel fastened in the middle of the bag. The store's offer includes dozens of models of bags of various sizes, capacities, number of pockets and general baggage. The offer is characterized by a wide range of colors. 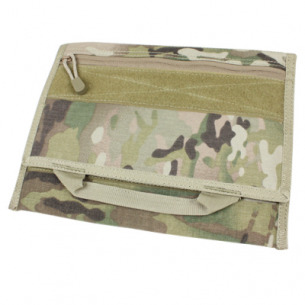 Men's shoulder bag can be black, green, olive, gray, navy blue or in one of the military colors. Everyone will find the right copy for themselves. Tablet - smaller than a laptop and larger than a smartphone. Very often taken to work in the field, due to the convenience of use and ease of carrying. It is important, therefore, appropriate protection. 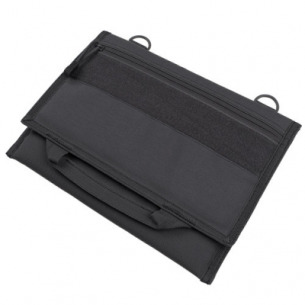 In our store's offer you will find a tablet case with a maximum screen diagonal of 10 inches. The CONDOR tablet case is available in many colors, such as black, Multicam, Olive Green or Coyote / Tan. It is lightweight, functional and also resistant to abrasions. The main compartment is fastened with a Velcro flap. An additional pocket with a zipper. On the top of the cover there are two composite D-rings for hanging the device. 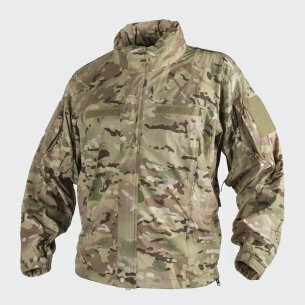 The cover can be mounted to a gear or backpack, using sewn-in assembly bands compliant with the MOLLE / PALS standard and straps, which must be purchased separately.